Moist Red Velvet Cupcakes with vanilla buttercream, a rich and luxurious dessert for those special days like Christmas or Valentine’s Day. 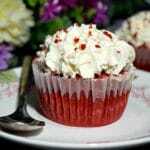 How do you get bright red cupcakes? I’ve been thinking about baking some red velvet cupcakes with buttercream for quite a while now, but I just could not find a good-quality red food colouring. Most shops will have the low-price-even-lower quality red food colouring that, no matter how much you use, you end up with a some sort of very sad brown colour. The liquid ones are the worst, as they can change the consistency of your batter too, which, in some cases, can be catastrophic. So, DO STAY AWAY FROM LIQUID FOOD COLOURING if you want some nice cupcakes. One of my friends, who is an excellent baker, recommended me Sugarflair food colouring and I just love it. You can purchase online different colours and the paste is so concentrated, that you only need to use a tiny little amount of it to get the gorgeous bright red. What a brilliant product, I am more than pleased with it. I am sure I will get to test in on different other desserts, so stay posted. Using cocoa powder enhances the bright red colour, so I would advise you use it. You can probably get a natural red colour by using beetroot, but I must say I have never tried it, so I can’t say if that works for not. I wouldn’t think you can get this bright colour anyway, most probably a different kind of red. Still, even if you use food colouring, if it’s a good quality one, you should not notice any different in taste. It will still taste like a normal chocolate cupcake, but just coloured red. The best buttercream must be the vanilla one. It’s delicious, rich, creamy, and it contrasts beautifully with the red colour. Thus making them a great choice for both Christmas and Valentine’s Day. How do you make vanilla buttercream? First of all, it is crucial that the butter is at room temperature. 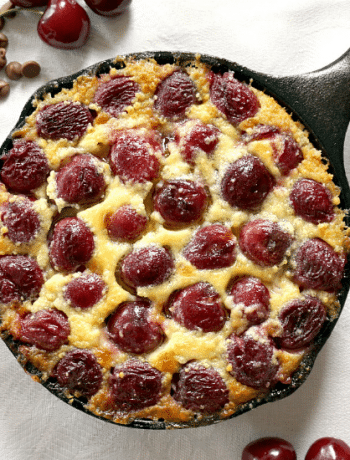 Make sure it is out of the fridge at least one hour before you start baking. If it’s not soft enough (but not melted!!! ), the buttercream will NOT be smooth. The icing (confectionary’s) sugar should ideally be softed, again to ensure a smooth consitency of the buttercream. Add the vanilla extract and milk, a bit at a time, then mix well with a hand mixter or a ktichen aid. And that’s the buttercream. Pipe it before it hardens, you will achieve far better results like that. And that’s how you get some pretty red velvet cupcakes to impress anyone! 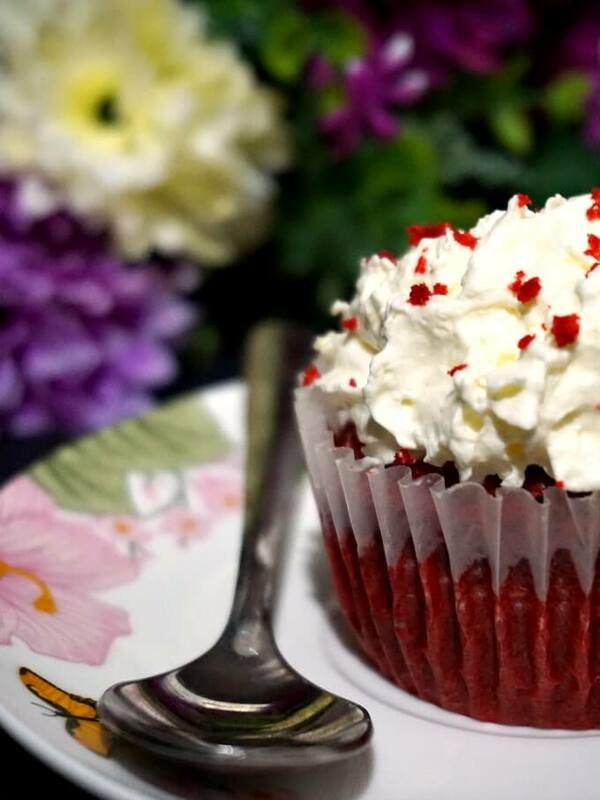 If you’ve tried my MOIST RED VELVET CUPCAKES WITH BUTTERCREAM or any other recipe on the blog then don’t forget to rate the recipe and let me know how you got on in the comments below, I love hearing from you! You can also FOLLOW ME on FACEBOOK, and PINTEREST to see more delicious food and what I’m getting up to. 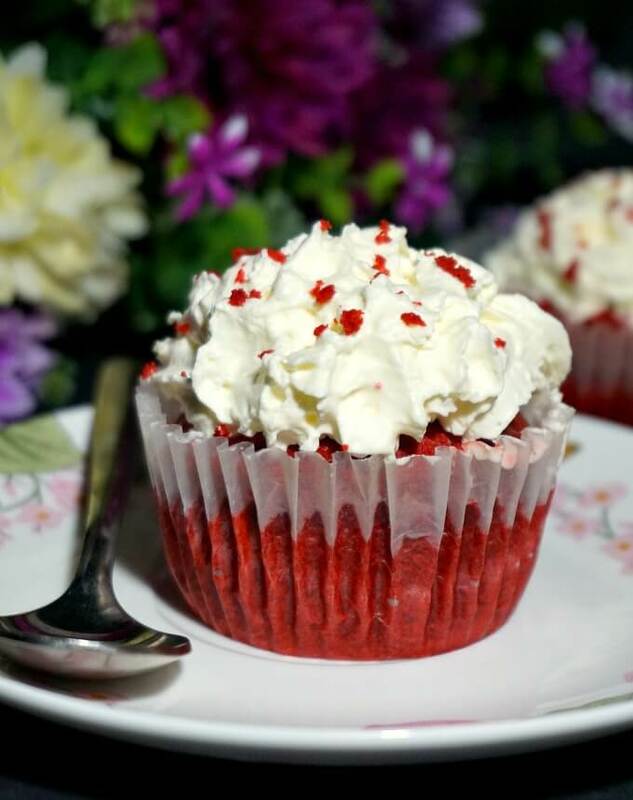 Moist Red Velvet Cupcakes with vanilla buttercream, a rich and luxurious dessert for those special days like Christmas or Valentine's Day. To make the cupcakes, make sure the butter is nice and soft, so ideally you should leave it at room temperature at least an hour before you start. Use a hand mixer to beat the sugar and butter together until you get a smooth paste. Sift the flour and cocoa powder in, add the vanilla extract and red food colouring and mix well using a spatula. Line a cupcake/muffin tray with 12 cupcake paper cases, and divide the mixture evenly. 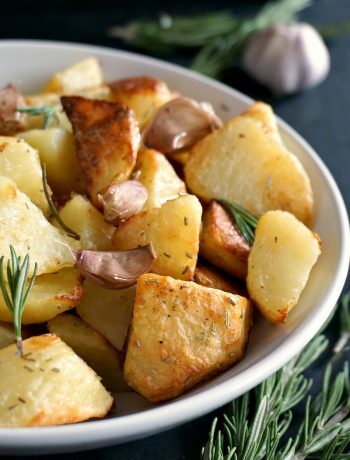 Bake for about 18 to 20 minutes until well risen and firm to the touch. Meantime, you can make the vanilla buttercream. 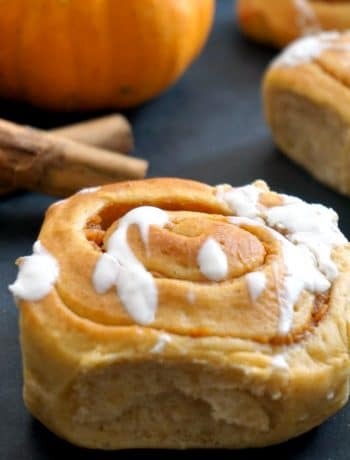 Sift the icing sugar and beat with well with the softened butter. Add the vanilla extract and milk, one tablespoon at a time, so you can get a lovely smooth cream. To decorate, use a piping bag with a nozzle of your choice. 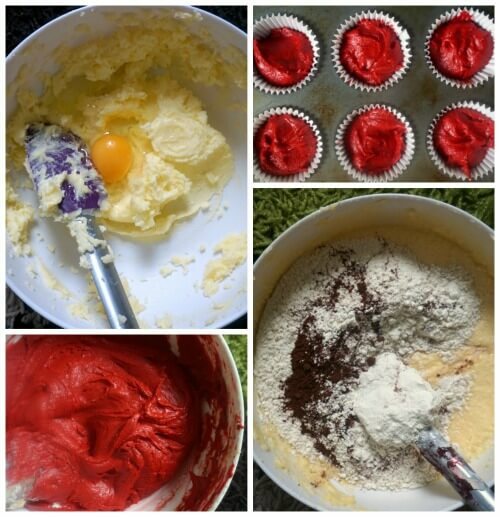 Please see the text above for more tips on how to make the buttercream and get the bright red colour of the cupcakes.